First you should try improving the antenna. After antenna improvement is done, then add an amplifier. Good advice, thanks! Just straightened out my radials, added 4 more to make it an 8-legged spider, and I'm already seeing an improvement. I'll post back with results after a few days. Weather proofing makes ALL the difference, moisture is drawn into the coaxial cable like a sponge... even a night out with dew will draw in water - doesnt need to rain !!! Ive seen many a cable ruined this way, and theres no recovery... 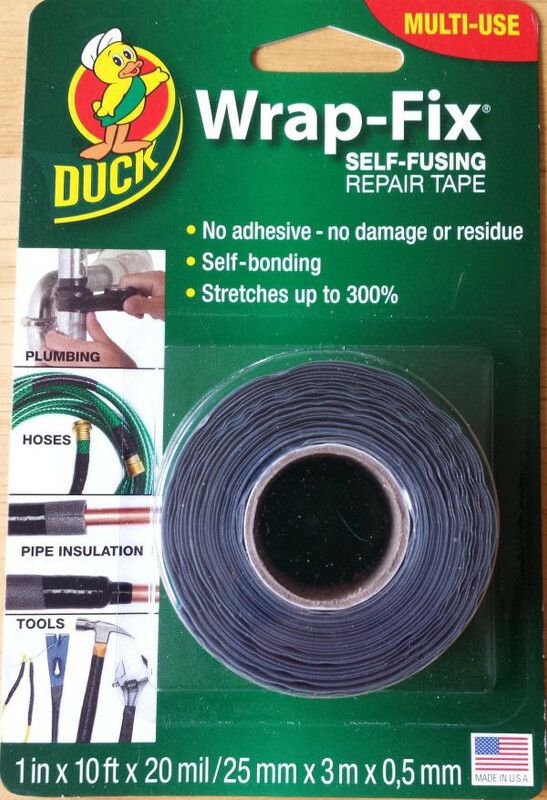 ALWAYS seal the end of the cable - beeswax, self amalgamating tape etc. How-to Protect Outdoor Connectors and Cable From Ingress of Moisture (Due to Rain & Snow) and Resulting Short circuit, Corrosion, and Drop in Performance. 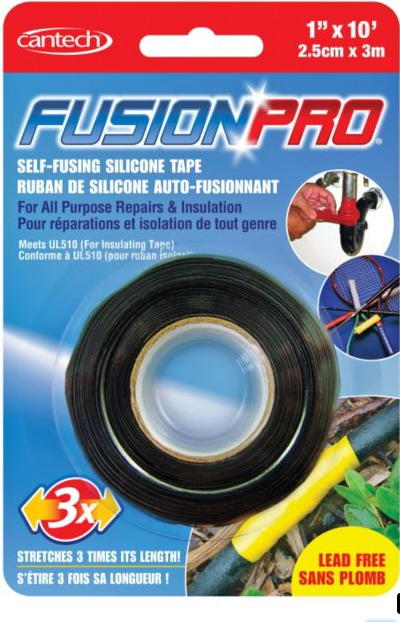 The simplest way to protect your connectors and cable from ingress of moisture is to wrap self-amalgamating / self-fusing / self-bonding tape over the connectors. Please do NOT use ordinary electrical PVC tape as it wont protect properly, and soon deteriorate. 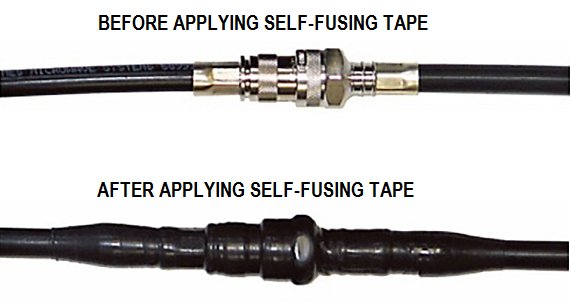 An additional step in case of RG6 cable is to use Water Resistant type F-connectors which have built-in O-rings. Last edited by abcd567; 2019-01-22 at 04:13. It's in the electrical section. Also, I’m looking for input on mounting solutions. Basically I need to figure out how to securely attach my antenna mast to the side of my building without drilling any holes (renting an apartment). The outside of my building is brick, and the brick protrudes about 1/4” from the mortar. I found some “brick clips” (like this: 4 Metal Brick Clip Fastener Hooks ) meant for hanging pictures, so my first idea is to somehow attach a PVC pipe to the brick clip, and then attach the mast to the PVC with either an elbow joint or something similar. The idea here is to get the antenna out away from the side of the building, ideally about 8” or so. 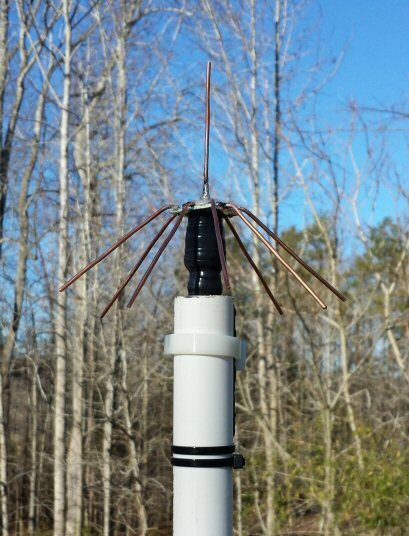 However, I’m not sure that the brick clips are sturdy enough to support the weight of the mast + antenna. Option 2 would be to attach the mast to the fire escape railing outside one of my windows. The fire escape is of a fairly rudimentary style - just a ladder surrounded by a cage, not one of the (safer) stairway varieties. This option would be my first choice, but the closest window to the fire escape is also farthest from any interior power supply, so I’d have to run the coax cable quite a distance along the outside of the building to feed it through a different window where I can easily attach it to my RPi. •	attach to a window without drilling holes? •	Attach to a brick facade without drilling holes? •	Cleverly use gravity to “pin” the mast against the building? I've looked into using some kind of flag pole mounting solution, but so far it looks like I’ll have to Macgyver my way to a stable solution. Maybe hot glue would attach it to the brickwork in a few places ? Or maybe you could simply stand a "spider" in the guttering... even on a window sill would capture some aircraft. If theres a down pipe nearby, construct a coco and waterproof it, then simply wedge it into the top of a down pipe ! How much of a difference does RG8 coax make over the more commonly available RG6? I know the technical difference of 75ohms vs 50ohms, but I don't know how that difference is seen for ADS-B frequencies. I've had limited success with soldering copper wire to a SO-239 connector. The solder doesn't take very well. Do I need additional flux? Maybe some cleaning solution on the connector first? Setup is coming along great... lots of planes so far. Just perfecting and building a second site. Last edited by abcd567; 2019-02-25 at 20:37. 250+ nm?! Consider it done. Not necessay that every install gets 250+ nm. Only if no high rise building is obstructing the view of horizon, and antenna can "see" the horizon. Also the length of coax between antenna and DVB-T should not be long. My apartment (inside which Quick Spider is located) is about 60 feet / 20 meters above road, and I get 250+ nm only in unobstructed directions. In directions where there are high rise buildings, I get much less max range. The length of RG6 coax between my Quick Spider and the DVB-T/RPi is about 12 feet / 4 meters. It is worth trying Quick Spider. Whatever your location and height, the Quick Spider performs NOT LESS than the SO239 Spider at same location and height. Last edited by abcd567; 2019-02-25 at 22:45.